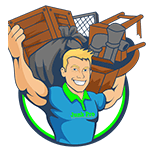 JunkPro offers homeowners a complete junk removal service so that you don’t have to lift a finger to reclaim your valuable space. JunkPro provides numerous services to businesses, specializing in the needs of real estate professionals and mortgage companies. We remove anything. If it's not on the list, we will still take it for you. Contact us for a free on-site estimate! Mattresses, box springs, recliners, all types of furniture, refrigerators, deep freezers, stoves, dishwashers, microwaves, washers, dryers, water heaters, bicycles, toys, TVs, grills, filing cabinets, computers, copiers, hot tubs, above-ground pools, exercise equipment, and more! Drywall, carpet, lumber, bricks, windows, fences, deck removal, batteries, tires, overgrown shrubbery, trees, concrete, cardboard, sheds, dirt, grass, paint, showers, sinks, tubs, toilets, cabinets, roofing shingles, scrap metal, tin, aluminum scrap, branches, tire rims, patio furniture, and more! Cars, trucks, tractors, combines, motors, lawnmowers, campers, trailers, motorcycles, ATVs, gboats, A/C & heating units, and more! JunkPro serves the following counties in southeastern Indiana, western Kentucky, and northern-middle Tennessee. We may be willing to go the “extra mile” into neighboring areas, too. Contact us to schedule a no-obligation appointment!